I have to admit, I was a bit skeptical going to the Polo Bar for the first time. 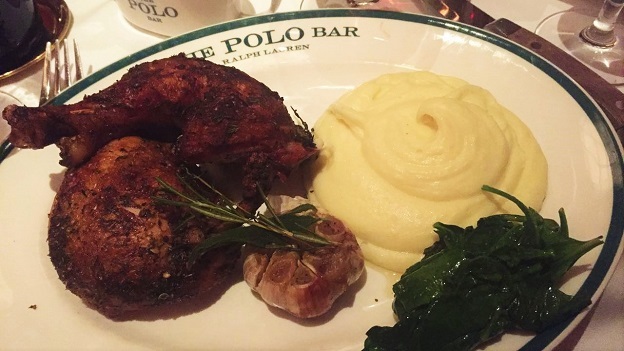 Reservations are nearly impossible to come by and the Polo Bar has acquired a reputation for being quite a scene since it opened last year. Our dinner was absolutely delicious. I can hardly wait to go back. 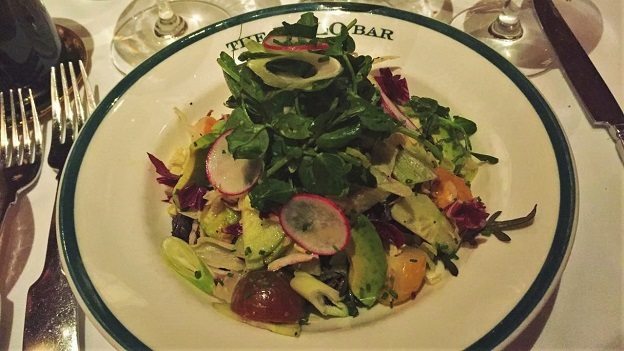 It’s easy to miss the Polo Bar's discreet entrance on East 55th Street, just off Fifth Avenue. Two hosts greet me and usher me back to one of the rooms where a group of friends have begun to gather. The bar is buzzing with energy. Low lights, wood paneling and leather banquettes evoke classical images of Americana. The small cocktail tables in the back and the cramped feel aren’t really my thing, but then the 1969 Salon is poured and everything slows down a bit. When it is on, the 1969 Salon is a magical bottle. Rich, powerful and intense, the Salon captures all of the magic of this vintage. I wouldn’t hold bottles too much longer, as the 1969 is at its peak. The 1996 Bollinger Vieilles Vignes Françaises, on the other hand, is very young. Remarkably pure, bright and crystalline, the 1996 VVF is utterly captivating, with plenty of citrus, dried herb and almond overtones. What a great bottle of the 1996 this is. 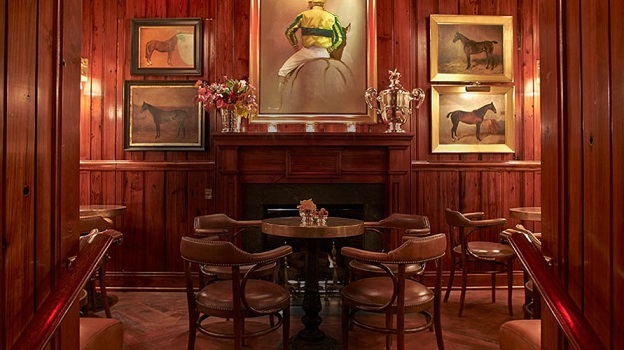 Luckily, the downstairs dining room is a little more spacious, although the Polo Bar is not exactly the place to go for a quiet, intimate dinner. Here, too, things are bustling. Wine Director Darnell Dodson, whom I first met several years ago at a charity dinner at The Modern, takes excellent care of these bottles from our cellars. As we settle in, I take a good look at the wine menu. In a part of town where lists can be staid, conventional and overpriced, Dodson has put together a small but thoughtfully chosen list with some real plums at all levels. Impressive. Coche’s 2007 Corton-Charlemange is simply fabulous. Even so, tonight the 2007 is painfully young. The classic reductive Coche bouquet appears first, followed by scents of slate, pear, smoke and white flowers. Tasted over the course of the evening, the 2007 gradually opens up, but what it really needs is cellaring. 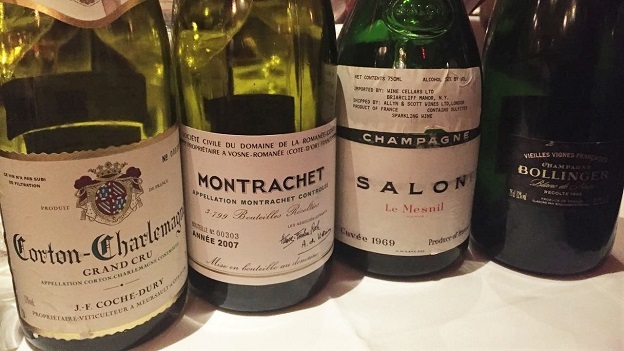 The 2007 Montrachet from Domaine de la Romanée-Conti is a totally different beast. Creamy and beautifully layered in the glass, the 2007 hovers across the palate in stunning style. All the elements are simply in the right place. A pleasure to taste and drink over the course of a few hours, the 2007 simply has it all. Some vintages of DRC’s Montrachet are more mineral-driven while others are more opulent, but few can match the 2007 for sheer harmony. Our food is terrific. The roasted chicken is perfectly cooked. Mashed potatoes, which so often are done without much care, are absolutely delicious. My small taste of the corned beef sandwich is enough to make me crave more. The Dover sole is delicate yet also full of flavor. Many of the dishes being served around us are quite tempting. Bruno Giacosa’s 1990 Barbaresco Riserva offers considerable pleasure. One of the hidden gems in the Giacosa lineup, the 1990 Riserva, made only once, is not a pure single-vineyard wine, although most of the fruit reputedly came from Santo Stefano. 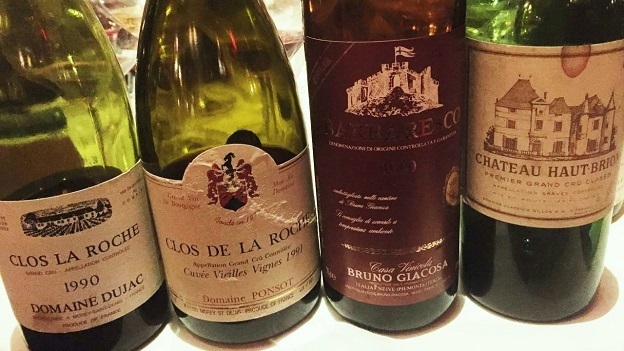 The 1990 has always been tightly wound for the vintage, but it has softened a bit over the last few years. The aromatics are striking, but the wine remains a bit compact on the palate, with less of the sweetness and explosive energy of Giacosa’s very best wines. Still, the 1990 is a very pretty first red wine on this night. The 1990 Clos La Roche from Dujac is bold and racy, but it is also quite pungent, with a distinct stemmy quality and slightly faded fruit. This bottle is pretty, if a touch advanced. The 1961 Haut-Brion is one of the greatest wines I have ever had the privilege of tasting. That’s all there is to it. Impossibly deep, powerful and expressive, the 1961 stops all conversation at the table as we become immersed in its infinite beauty. Waves of intense black fruit, graphite, bacon, plum, tobacco, leather and herbs give the 1961 its remarkable depth and myriad shades of dimension. The 1961 Haut-Brion is an epic, breathtaking wine in every way. It’s hard to move on from there. The last wine of the night is Ponsot’s 1971 Clos de La Roche. Racy and exceptionally beautiful, the 1971 is laced with silky red-fleshed fruit, striking aromatics and superb persistence, all of which give the wine a super appealing combination of pure sensuality and nuance. Overall, the food was superb and the wines were epic. Is there a better way to spend a Wednesday evening with a few close friends? I doubt it. Next time, though, I’m having the burger.